To talk to key decision-makers in Asian countries like China, India, and Japan, pull this Asian business directory and contact list now! Building strong business-to-business (B2B) connections overseas before sharing your projects in Asian markets is an important step in a global business strategy. So whether you're conducting a B2B marketing campaign overseas, looking for partners and insight before marketing to new audiences in those areas, or hoping to extend your company's reach, this Asian business email database is for you. Asian businesspeople can discuss with you your company's products and services, logistics, and partnerships. 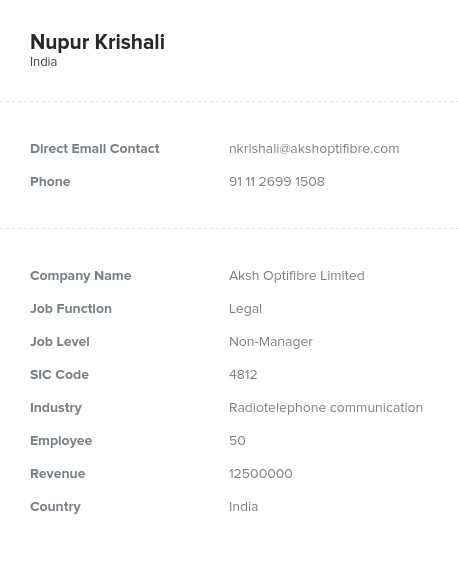 When you download our verified Asian contacts list, you'll have all of the information you need to reach out to sales leads: emails, phone numbers, addresses, company information, fax numbers, and more! When you call or email leads, make sure that you have a translator ready, and make sure to respect local customs and cultural boundaries. Do that and you could use this Asian business mailing list to maximize your overseas marketing efforts today!